Crest 3D White Toothpaste Is It For You? If you’re looking to find out a little more about Crest 3D white toothpaste, or even just want to run the Crest 3D white toothpaste ingredients list past your dentist for approval, this is the article for you. Keep reading to get the low-down on this ever-popular whitening toothpaste. What Does Crest 3D White Toothpaste Offer You? Crest 3D white toothpaste promises a whiter smile in 14 days- what could be better? 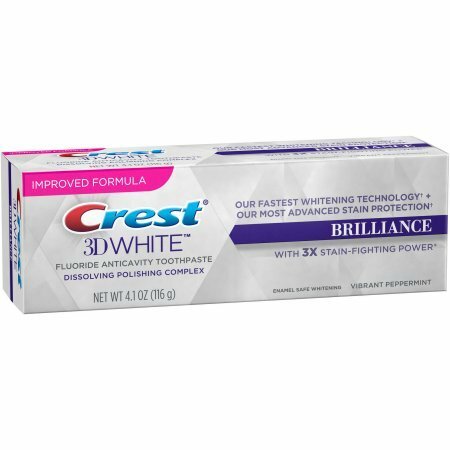 Crest 3D has earned a perennial spot on the top ten best whitening toothpaste, with the added bonus of being available at a decent budget price. Crest 3d white toothpaste works by acting on surface stains, as well as with a foaming action to help lift the overall shade of the teeth. It’s claimed up to an 80% stain reduction can be seen over the 14 day period. The consistency is what’s known as a hybrid formula, offering the superior cleaning action of a paste but the convenience and freshness of a gel. The formula works primarily through the action of the Silica ingredient on the teeth. The formula is enamel safe, too, so if you’re prone to delicate teeth you are still ok to use the formulation. The foaming action is included to help rinse out and sanitize tough-to-reach spots and nooks where a standard toothbrush misses. While the manufacturers do caution to use the toothpaste as directed [remember, more isn’t always better], it’s a gentle and safe formulation that’s clinically proven to help lift stains and shine teeth for a white, brighter smile. You don’t need to alternate between Crest and a regular toothpaste, either… Crest 3D white has all the ingredients necessary to keep your teeth healthy while whitening them. If you do prefer to separate your cleaning and whitening aspects, there is a toothpaste in the range available that offers a 2 step system where the two aspects are separated. It’s highly recommended to use Crest 3D white toothpaste in tandem with the oral rinse, read my earlier post on keeping your breath fresh and the specially designed toothbrush. While not essential to get results, you will see faster and better results from using the entire range, as they’re made to work synergistically with each other. How Do You Use Crest 3D White? It’s simple- brush twice a day. It’s not advised to swallow the formulation, and for kids under 6 years only a pea-sized amount should be used to ensure no excess swallowing occurs. What Are Crest 3D White Toothpaste’s Ingredients? Some of the range uses Sodium Lauryl Sulphate as the foaming ingredient while other use the gentler Sodium Laureth Phosphate. All of the range make use of Sodium Fluoride to help strengthen teeth and reduce cavities. Generally, other Crest 3D white toothpaste ingredient variants relate only for flavor and coloring. What do people say about Crest 3D White? Many users of Crest 3D White toothpaste report bolstered confidence and high satisfaction in the 14-day promise. Many also report a great feel in the mouth after using Crest 3D, with some even feeling like their teeth have been ‘sealed’ and smoothed for a better feeling and improved mouth cleanliness. 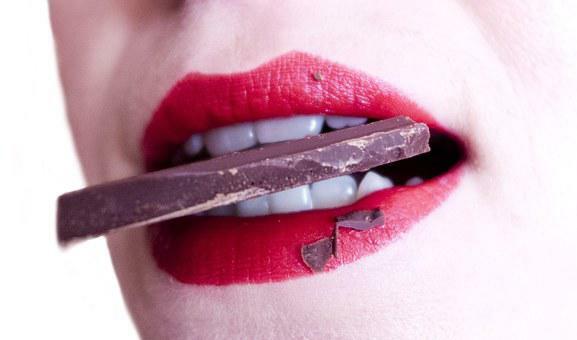 Several users also made mention of the tartar (another cause of smelling breath)control aspects of the toothpaste, mentioning that it feels better than the agents used by many other tartar control toothpaste. Mint toothpaste often leave a burning, vicious taste that many users [especially those with sensitive gums] don’t like. Several users felt that Crest’s mint options were gentler and less aggravation on the mouth. Your mileage may vary based on taste and opinion, of course. Overall, test users appear to have been very satisfied with the user experience offered by Crest 3D White toothpaste, as well as feel that it lives up to its whitening promises and 14-day statement. But having said that, always keep in mind that all products produce different results to different people so do not expect miracles, if it takes longer than 14 days but still produce results, I see no problems with that. The Crest 3D white toothpaste ingredients are safe and care for your teeth while whitening too. Would like to hear your opinion, just leave me a message below.You can order Crest 3D toothpaste from Amazon or get it from your local store. Thanks for the review I often wondered if this toothpaste really did work. My husband, daughter and I all had braces and we are always looking for ways to keep our teeth shining and pearly white. We will try it for 14 days to see if it gives us that special glow. I don’t see any toothpaste that guarantee teeth whitening or stain reduction in 14 days in my country. It’s true that clean and white teeth gives you the confident in your smile. 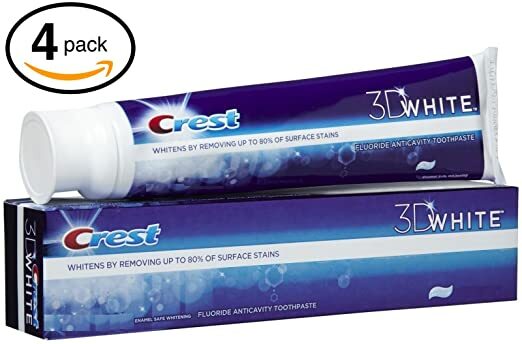 I suppose there’s no other choice but getting it at Amazon if I would like to try out this Crest 3D toothpaste.